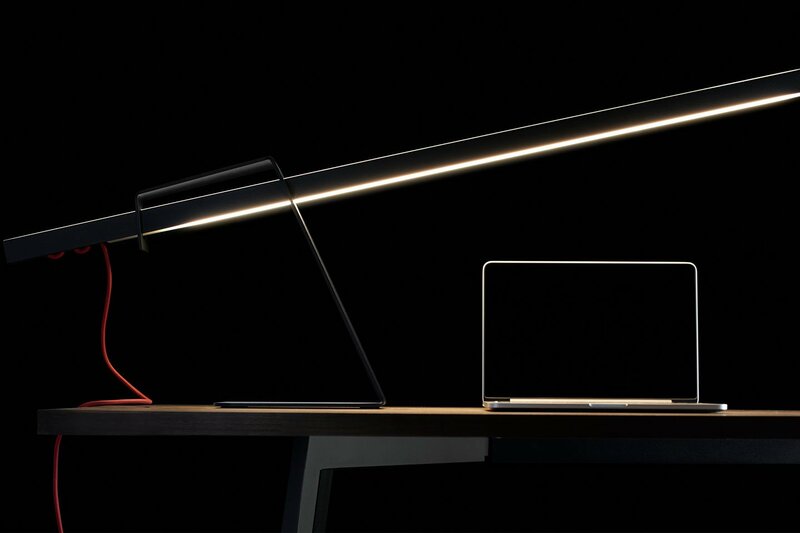 LightLane© Table expands the well known LightLane© family with a table lamp. The pure and simple design falls into line with every room. The 120 cm long luminary has a direct and indirect light portion which can be regulated individually by gesture control. 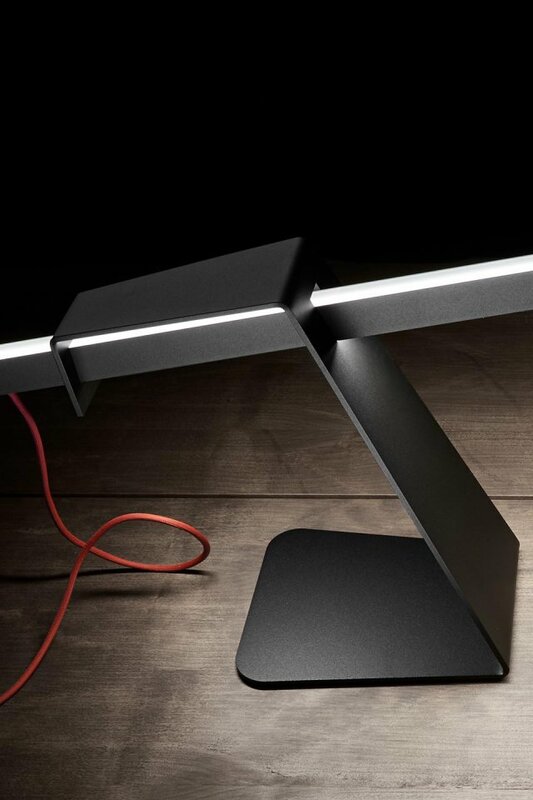 The luminary is inserted in the stable base and is therefore adjustable, at will, in its position. 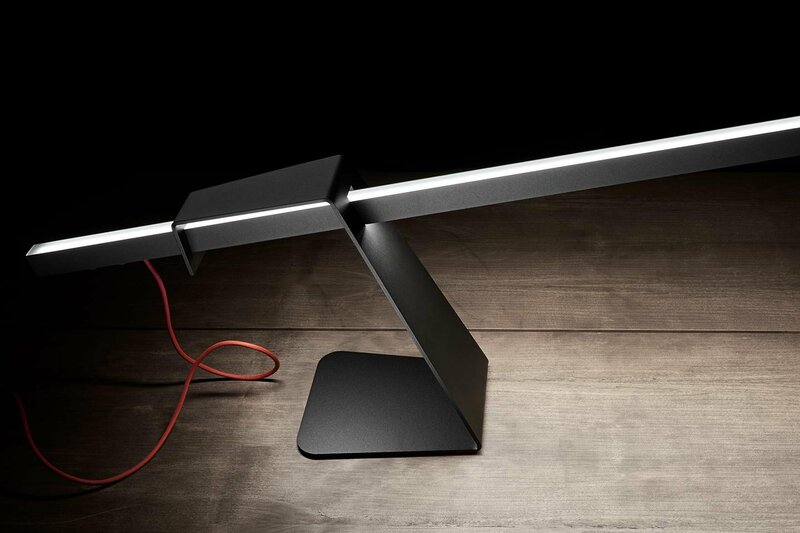 LightLane© Table illuminates its surroundings with 2700K „candle white“ LED-technology. 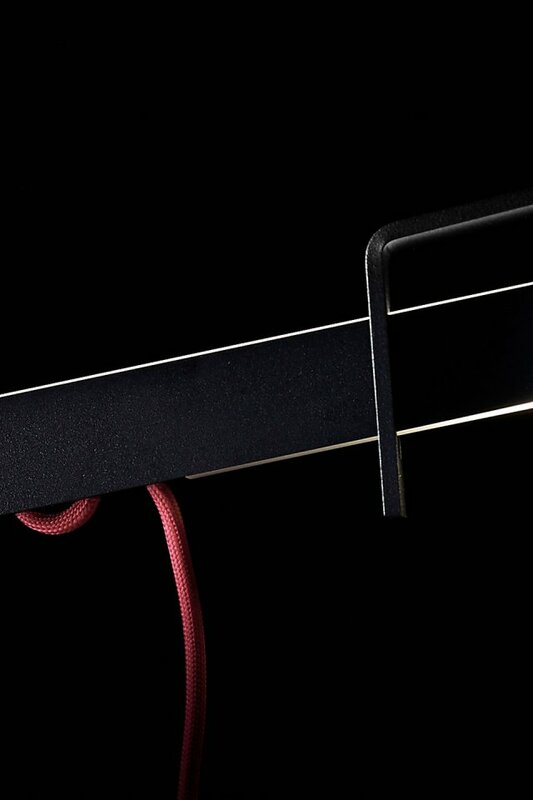 The lamp comes with the ﬁnishes textured white or black. The base and the luminary itself can differ in colour. In combination with the different colours for the fabric coated power chord the variety of options is manifold.